If you have trouble remembering to complete tasks you know you need to do in the future, there's an easy way to help solve the problem. A group of British researchers has found a simple and inexpensive treatment that really works. In fact, past studies showed this same therapy improved long-term memory, so I think it's worth trying for any memory problems. Researchers Jemma McCready and Dr. Mark Moss of the University of Northumbria had previously found that the aroma of rosemary helped with long-term memory and mental arithmetic. So they decided to see if it influenced prospective memory as well. Prospective memory, as Dr. Moss explains, "Is the ability to remember events that will occur in the future and to remember to complete tasks at particular times critical for everyday functioning." 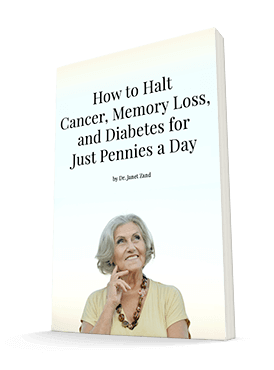 This can include things like remembering to "post a birthday card or take medication at a particular time." To see the effects, the researchers diffused rosemary essential oil into a room by placing four drops on an aroma stream fan diffuser. They turned it on and let it run for five minutes before inviting study participants to enter the room. Sixty-six people took part in the study. The researchers sent them to either the rosemary-scented room or an unscented one. Once in a room, participants engaged in various tests to determine their prospective memory function. For example, the researchers asked them to hide objects and find them later or give an object to the researchers at a particular time. The researchers did not prompt the subjects to complete the tasks until necessary, and different degrees of prompting lowered the participant's score. The researchers also gave the participants a questionnaire about their mood. The researchers analyzed participants' blood to see if their performance and mood changed based on exposure to rosemary. They measured concentrations of the compound 1.8-cineole in the blood. 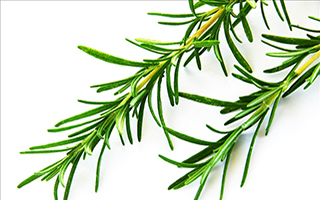 Essential oil of rosemary also has this compound and previous studies have found it affects memory. The study found that participants in the rosemary-scented room did better than those in the unscented room. They did better both at remembering events in general and remembering to complete tasks at particular times. However, they did not find a link between mood and performance on the tests. Jemma McCready says, "This suggests performance is not influenced as a consequence of changes in alertness or arousal." The blood tests did indeed show that participants in the scented room had much more 1.8-cineole in their blood, which suggests there may have been a pharmacological influence on the memory improvement. This is good news, says McCready. "These findings may have implications for treating individuals with memory impairments. It supports our previous research indicating that the aroma of rosemary essential oil can enhance cognitive functioning in healthy adults, here extending to the ability to remember events and to complete tasks in the future. Remembering when and where to go and for what reason underpins everything we do, and we all suffer minor failings that can be frustrating and sometimes dangerous." So if you have a tendency to walk into a room and forget why you're there, rosemary essential oil may help. Just make sure you put it on your shopping list so you don't forget what you intended to get when you're at the store! You can find it at most health food stores and online. British Psychological Society (BPS) (2013, April 9). Rosemary aroma may help you remember to do things. ScienceDaily. Retrieved April 10, 2013, from http://www.sciencedaily.com/releases/2013/04/130409091104.htm.